Monkey Movement is the kids version of our Progressive Movement class - based around gymnastics strength, handbalance, locomotion and body control, flexibility and (most importantly) play. Our strict focus on movement quality, that we strive for in our adults classes, is the same with our kids classes making sure to teach and develop correct movement patterns from a young age. Children have a natural and innate instinct to move and play - but we like to make sure that they are doing this safely while becoming aware of their capabilities. Improve strength and flexibility through Gymnastics and bodyweight strength training. We aim towards developing fundamental bodyweight exercises such as chin-ups, push-ups, handstands, levers and other basic Gymnastics strength movements - while also improving overall flexibility. Your child will build usable strength and stability that carries over to their hobbies, sports and every day movement. Developing skills and control - putting the fun into training. Jumping, crawling, balancing, lifting, hanging, inverting, tumbling, twisting, locomoting, juggling, fun and games. We put their strength and flexibility to play, with natural movements and skills that increase coordination and proprioception to help your child develop an all-rounded functional body. With our progressive approach, we tailor and scale movements to suit each child. 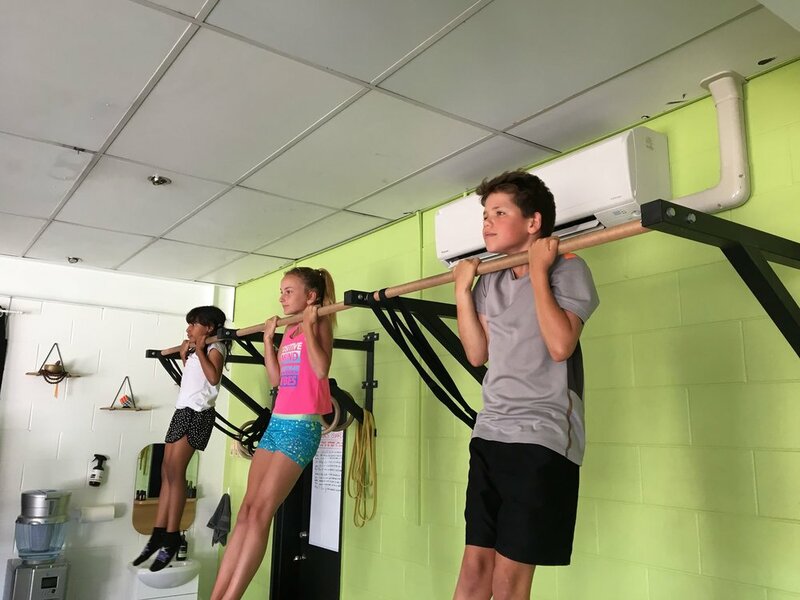 Whether your child has had previous group training, or is completely new to the scene, we cater for all kids to make sure that they are challenged with appropriate movements for their level. If this is the first time for your child, we make sure to ease them into our curriculum and allow them to go at their own pace.